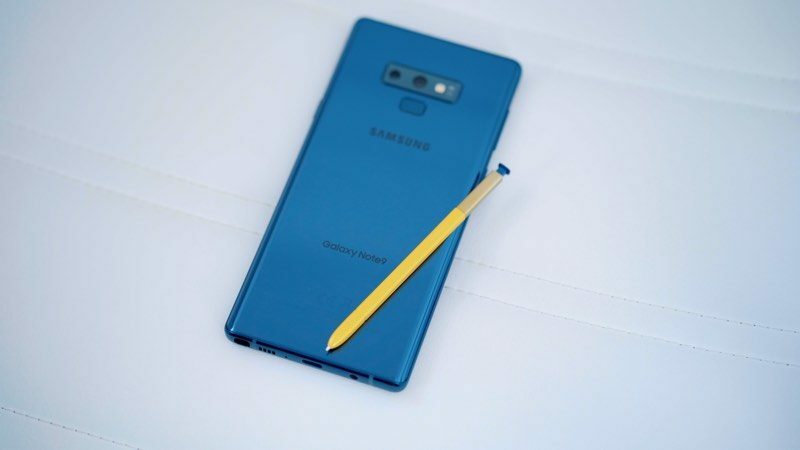 Samsung recently released its latest flagship device, the Galaxy Note 9, which is set to be one of the main competitors to Apple's 2018 iPhone lineup, consisting of three iPhones in 5.8, 6.1, and 6.5 inch sizes. 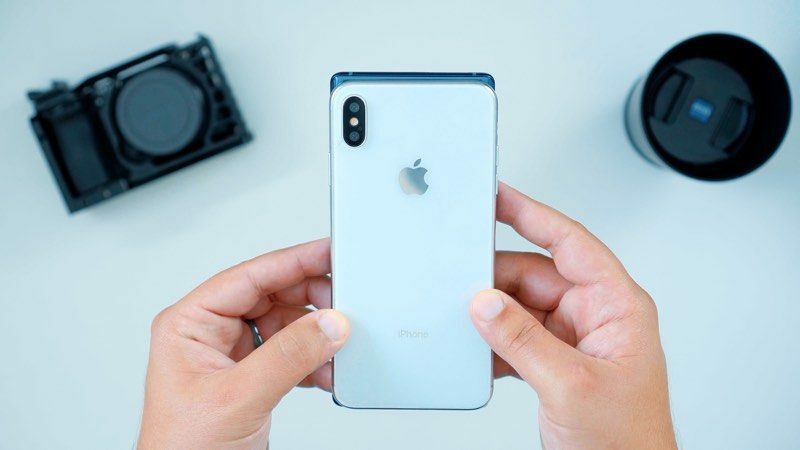 Apple won't announce its new 2018 smartphones until sometime around mid-September, but given the wealth of part leaks and rumors, we have a clear picture of what to expect. We may not have real iPhones to compare to the Galaxy Note 9, but we've taken a look at Samsung's new flagship next to dummy models of the 6.1 and 6.5-inch iPhones to see how Apple's larger-screened devices will measure up to the Note 9. Samsung's Galaxy Note 9 features a 6.4-inch display but Samsung has refused to embrace the notch, so it continues to feature bezels at the top and bottom. 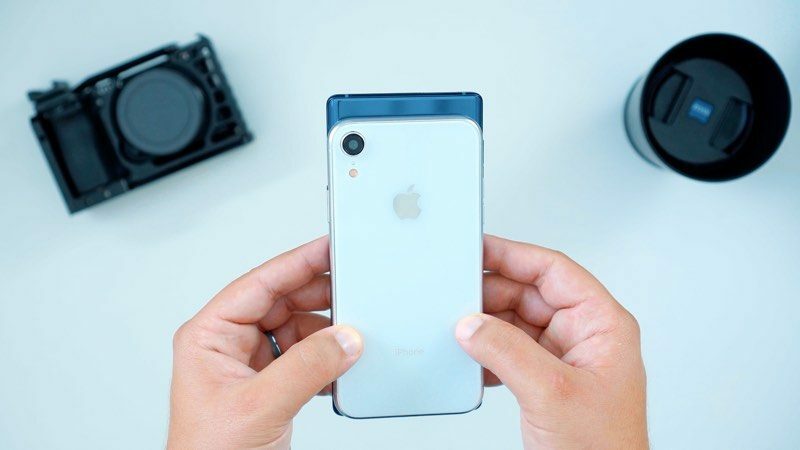 That sets it apart from Apple's lineup, as all three iPhones are adopting the edge-to-edge design that was first introduced with the iPhone X.
Apple is planning on a second-generation 5.8-inch OLED iPhone, a 6.5-inch OLED iPhone, and a 6.1-inch iPhone with an LCD, which is set to be a low-priced option. Even though the 6.1-inch iPhone is expected to be priced as low as $700, all of Apple's 2018 iPhone lineup is adopting the TrueDepth camera system and Face ID, doing away with Home buttons entirely. Size wise, the 6.4-inch Galaxy Note 9 is most similar in size to Apple's upcoming 6.5-inch iPhone, but the Note 9 feels bulkier in the hand due because it's taller with buttons that are placed in inconvenient locations. The 6.5-inch iPhone is a more comfortable shape, while the 6.1 and 5.8-inch iPhones are even easier to hold. Aside from size, Apple's iPhones and Samsung's Galaxy Note are rather different. Along with the difference in bezels (Apple's are much smaller), the Note 9 continues to offer a headphone jack, a fingerprint sensor on the rear of the phone, and integration for the S-Pen, Samsung's stylus. Some rumors have suggested Apple is planning on introducing Apple Pencil support in at least some of the new iPhones, but it's not clear if this is actually going to happen. If it does, though, it would introduce further feature parity between the Note and the iPhone. Dual cameras are included with the Note 9, which we're also expecting for two of three of the upcoming iPhones. Both the 5.8 and 6.5-inch models will feature a dual-lens camera setup, while the 6.1-inch model will feature a single-lens camera. 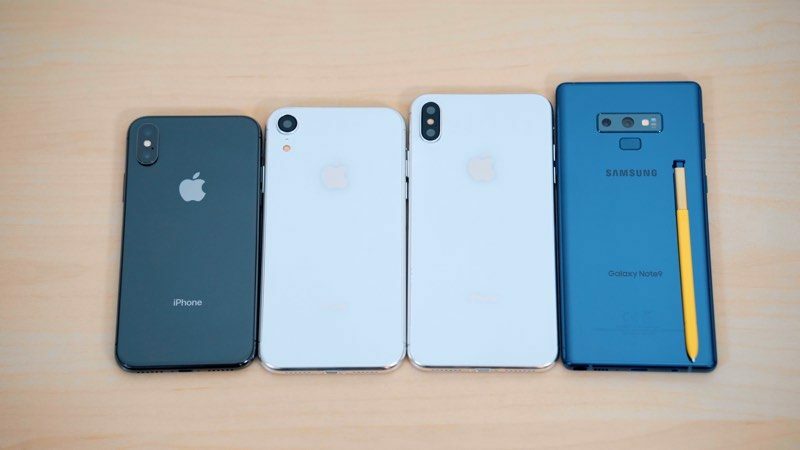 Since these are iPhone dummy models and not the real thing, we can't compare performance between the Note and the upcoming iPhones. Samsung's new smartphone uses a Snapdragon 845 chip, though, which is already outperformed by the A11. Apple's new iPhones will use a faster, more efficient A12 chip, which will introduce further speed improvements. The 5.8 and 6.5-inch models are also rumored to include 4GB RAM. The Galaxy Note 9 offers 6 to 8GB RAM, but Apple often matches or exceeds the performance of Android phones with more RAM due to tight integration of hardware and software. Samsung's smartphones win out when it comes to LTE speeds right now, but that could change with the 2018 iPhone lineup as Apple is using upgraded Intel chips that offer faster connection speeds than the chips in the iPhone X, 8, and 8 Plus. The Note 9 may also have superior battery life with its included 4,000 mAh battery, but we haven't heard a lot of rumors about Apple's battery plans as of yet. The Galaxy Note 9 is actually one of the Android smartphones that looks the least like the iPhone X and the iPhones coming in 2018, but as Samsung's newest flagship device with performance and features close to what we're expecting to see in the new iPhone lineup, it is going to be one of the main competitors Apple will need to contend with this fall. What do you think of the Galaxy Note 9 compared to the design of Apple's larger-screened 6.5-inch iPhone? Let us know in the comments.